The Don Ray Band, formed in 2009, is an Americana/Roots Rock band created by world class songwriters and studio / touring musicians based in Nashville, TN. 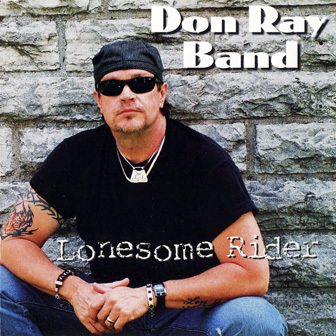 This, their 2nd album, "Lonesome Rider" was released August 17th, 2010 and premiered on The RMR Blues chart at # 49. Lonesome Rider has stayed on the radio chart for nearly 26 consecutive weeks crossing over the Country, Rock and Blues genres. The live concert DVD of this Lonesome Rider album tour was awarded Best Concert DVD by Blues Underground Network.